Walter Medley Tattersall, D.Sc., 1883-1943. By the death of Professor Tattersall the Society has lost a loyal and valuable supporter his place will be very difficult to fill. He was born in Lancashire, a direct descendant of the senior branch of the well-known family of horse dealers educated at Liverpool College and the University of Liverpool he studied under Herdman and graduated with first class honours in Zoology at the age of nineteen. In 1909 he succeeded Dr. W. E. Hoyle as Director of the Manchester Museum, and in 1911 he obtained his D.Sc. He served (as a private) in Flanders and France in the R.G.A. (Royal Garrison Artillery) in the 1914-1918 war, and was gassed, and never afterwards enjoyed really good health. 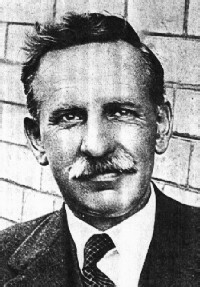 In 1922 he came to Cardiff as Professor of Zoology, at once joining the Society, was elected to the Council the same year, and served as President in 1931. He had been a member of the Court and Council of the National Museum of Wales for seventeen years, and of the British Association for over 30 years, and was a regular attendant at the meetings of the last named body, also going as delegate to the Indian Science Congress he served as Secretary and Recorder to Section D, of which, in 1939, he was president-elect. Tattersall specialised in the Crustacea in many families, of which he was recognised as the authority, and published a long series of Reports and monographs on material collected by various expeditions. At the start of the last war he had completed the manuscript of a volume on the Mysidacea for Bronn's Tierreich, and was engaged on a monograph of the British species for the Ray Society at the time of his death. We understand Mrs. Tattersall is hoping to complete and prepare the manuscript for publication, and she, herself, drew all the figures which illustrate his many publications. Throughout his connection with the Society he took great interest in its work, and in that of the Biological and Geological Section, of which he was President in 1936-37. Of a very modest and retiring nature, perhaps he never was so thoroughly appreciated as a Zoologist as his work and merits warranted. Those who knew him well will always remember him for his humour and geniality and for the courage with which he endured his long illness. The Glamorgan County History, Vol. I (Natural History), of which he was the Editor, will be a fitting memorial of him. There are a number of other sites that give information about him. including the following. Just before the end of the session, Vol. 1 of the Glamorgan County History was published, dealing with its Natural History under the editorship of Prof. W. M. Tattersall, D.Sc., and members of this Section directly contributed 289 of its 444 pages. Visit To University College Of South Wales And Monmouth. On Wednesday, 18th October, 1933, some 50 members of the Society accepted the invitation of the University College to visit the laboratories of that Institution both in Cathays Park and at Newport Road and, at the conclusion of the tour, the thanks of those present were expressed to the College Authorities and particularly to Professor W. M. and Mrs. Tattersall who so kindly provided hospitality for the visitors.